Being away from your pet can be tough. But you may not be able to take your pet with you when you are taking short trips regularly. 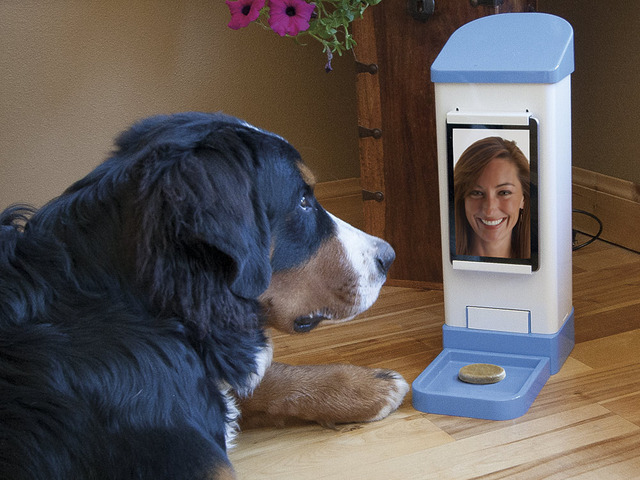 Wouldn’t it be nice if you could interact with your pet when you are away? iCPooch lets you do just that. It is a pet camera and treat delivery system. Whether you are at work, in another country, or at school, you can use this system to communicate with your pet. iCPooch connects to a home wireless Internet router and lets you deliver a treat using your smartphone or tablet. As long as you are connected to the Internet, you can video chat with your pet from your smartphone. 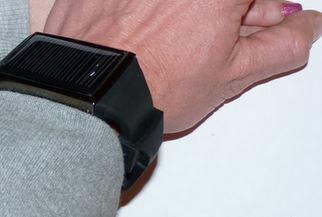 The system has a removable sleeve that can hold a variety of dog treats. You can use iCPooch to chat with your pet, feed it, and interact with it. It makes a nice gift for folks who have to be away from their pet for a while. This project is on Kickstarter right now.